Summer's here, and the time is right... for saving in our store! 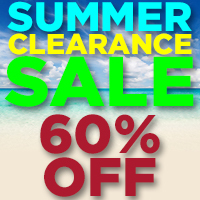 We're making room for fall by giving you 60% OFF all our clearance merchandise through the end of August! Stop by our Dayton campus store today! No refunds on clearance items. All sales final.